Holi was celebrated here over the weekend with friends, colored powders, good food and of course - Bollywood tunes. I hope to celebrate it one day in India - my relatives tell me that it's much like what we see in the movies (without songs & music starting on cue of course) Holi is a very popular holiday to picturize in Hindi cinema and it's easy to see why as it is visually tailor made for the big screen. 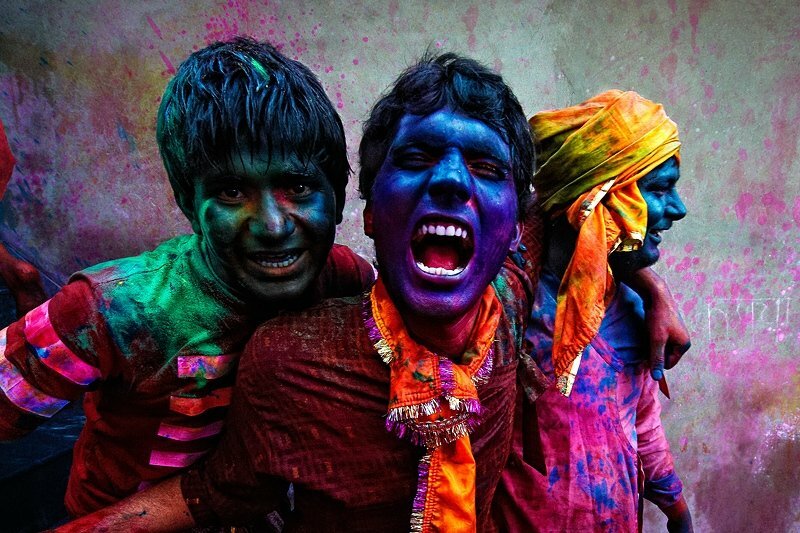 The origins of Holi are in religion (as are most Indian festivals). Hiranyakashipu (a demon king) was granted immortality due to his penance to Lord Vishnu (the preserver). The terms of this penance were that the king not be killed "during day or night, inside nor outside, not on earth or on sky, neither by a man nor an animal, neither by astra nor by shastra". Consequently, he grew arrogant (as you would expect a demon king to become who was immortal) and demanded that people stop worshiping to the gods and instead start praying to him. However his own son, Prahlad, was a devotee of Lord Vishnu and refused to bow down to the demon king. The king ordered young Prahlad to sit on a funeral pyre on the lap of his aunt, Holika. She in turn was safe from the fire by virtue of her holy shawl. Prahlad readily accepted his father's orders and prayed to Vishnu to keep him safe. When the fire started, everyone watched in amazement as the shawl flew from Holika (who was burnt to death) to Prahlad who was saved unhurt. Thus bonfires are lit to symbolize the burning of Holika and the beginning of Holi. And the tradition of the colors appear to be the final symbolization of good over evil, i.e. darkness over the light. My favorite one comes from Krishna's celebration of Holi. According to legend, Krishna complained to his mother about how much darker he was than the much fairer Radha. 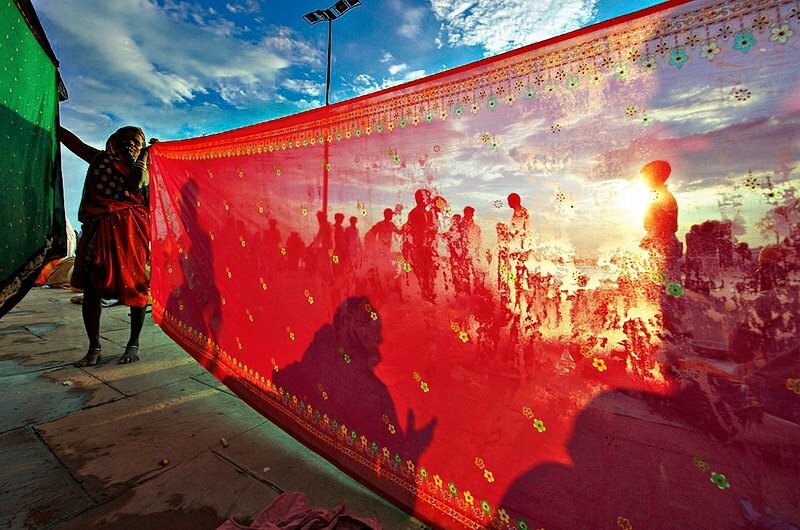 Krishna's mother decided to apply colour to Radha's face as a way to appease him while still keeping Radha fair. 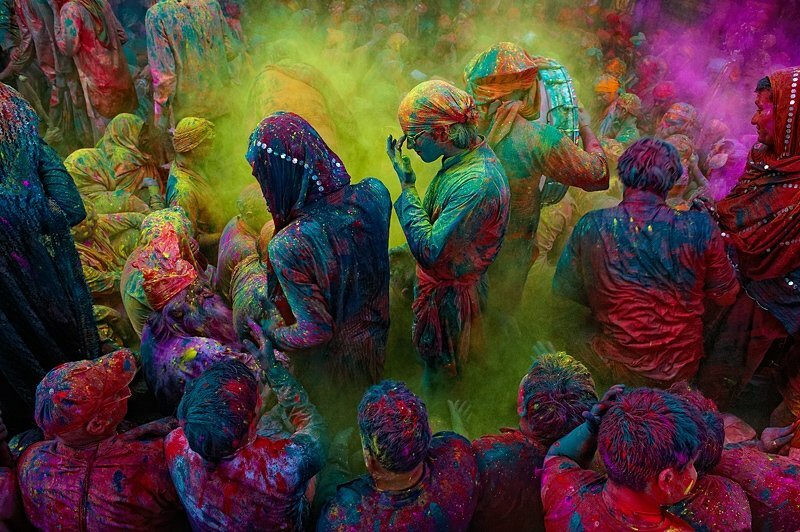 Holi officially ushers in spring, the celebrated season of love in Bollywood & Hollywood as well. Today's selection comes from the movie 'Aapas Ki Baat' which was released in 1981. Most of you (including your own dear Doc) haven't heard the song till today due to that OTHER holi song that was also released that year - Rang Barse from 'Silsila'. However this tune is not just a throwaway and actually has a great melody, fun lyrics, huge cast of villagers dancing in almost perfect unison and of course the most essential element for any holi song - Bhaang! The song is Rango Mein Rang sung by Kishore Kumar and Lata. It stars the very underrated Raj Babbar and some assorted fat men serving as the ambassadors of coloring the town red. In the end though, maybe Holi is kind of a metaphor for life - you see, without song, color and dance - life just isn't complete. I love the last line, it's so true. I had written about how Jaya's expression is the most powerful thing in both songs - in 'Sholay' when Amitabh is dancing and catches her gaze at the top of the hill... I just get goosebumps thinking about it. It kind of is Abhishek's first movie role too as she was pregnant with him at the time of the shoot! I was just telling shahnaz earlier that i wanted to play holi!! "Rang barse" is my all time favorite holi song. Good one, bhai! As you probably know, this isn't my favorite Holi song (which I just posted about - it's from Navrang), but this song is good, and I agree with you completely about Jaya being one of the most underrated actresses! Nice blog reallyt, we need such blogs really, to share such inofrmation. I love how you tie in the tunes into everything! Watching rang barse was great. Well you know Shef - songs are just the soundtrack to life just as they are to Bollywood as well!